The Bad: …so long as you only need to chauffeur one person. 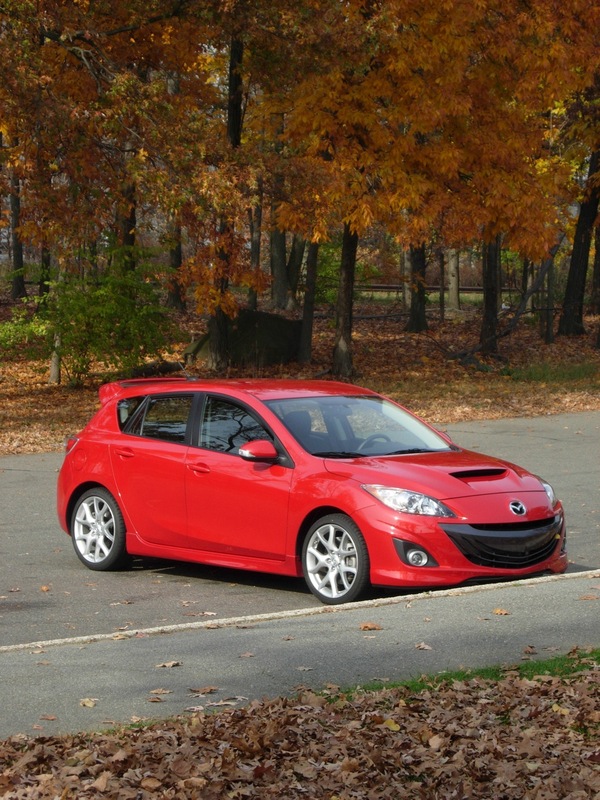 The Verdict: A poor man’s GT car. For most of the 20th century, Mitsubishi registered on the radar screens of America’s car buyers about as well as a B-2 stealth bomber. While an economic powerhouse in its native Japan, owning everything from nuclear power plants to banks, it languished as a second-rate foreign manufacturer in the States, sucking on Toyota and Honda’s exhaust fumes. Rice-rocket nerds drooled over Japanese-market Evolutions they couldn’t get, but otherwise, nobody really cared in the states. 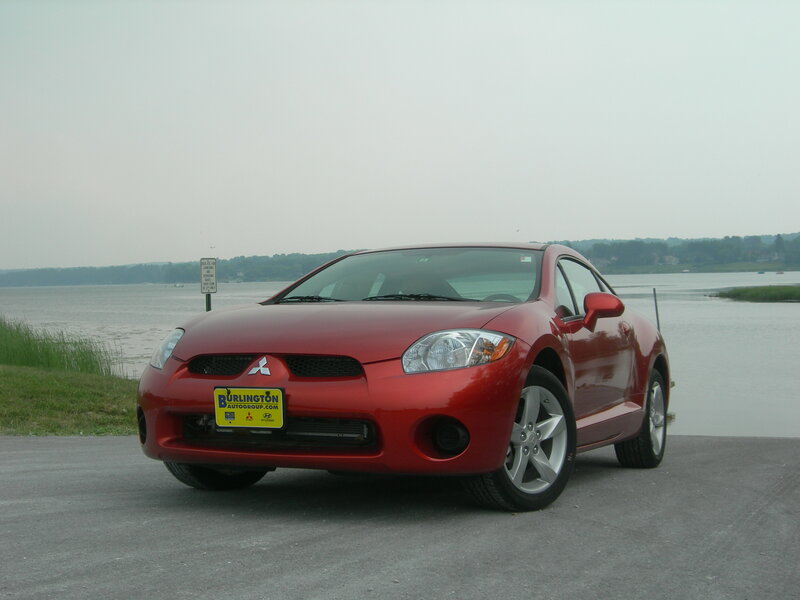 Then in 2003, with one simple ad, Mitsubishi went from “those guys who make crappy cars, right?” to “those guys with the really cool car commercial.” All it took was a few bars of a Dirty Vegas song, some blurry nighttime photography, and a coupe with pretty decent looks, and suddenly, people were talking Mitsubishi. With all of the cool of a modern-day Miami Vice (and none of the Colin Farrell mullets), the ad not only launched Dirty Vegas into Chumbawumba-esque realms of one-hit wonderland, but started pulling pop-and-locking young people into showrooms. Suddenly, it was…almost…cool…to have one. 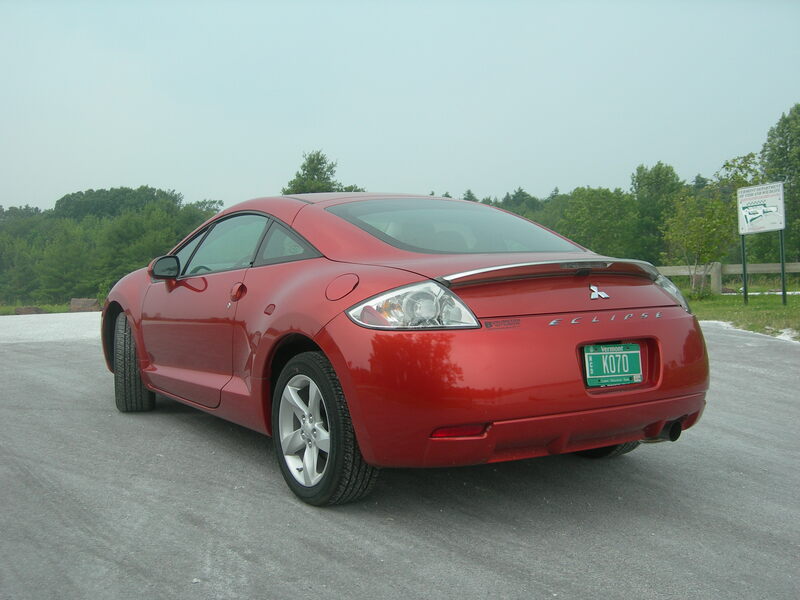 Of course, by then the Eclipse was already three years old, and it wouldn’t be long before a new model came along – so in 2006, the new Eclipse rolled onto American shores for the first time. If the old model was Carrie-Anne Moss in The Matrix, this new Eclipse was Gisele Bundchen in her birthday suit. People took notice of the car, not the background music of the ads. And two years later, the Eclipse still looks good. In the flesh, it looks like a curvier version of the Civic coupe (and who doesn’t like curves?). 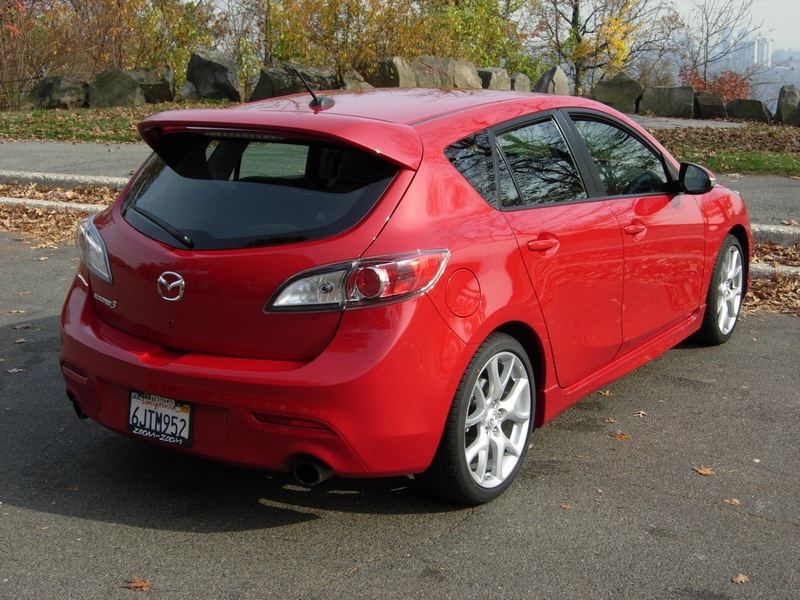 Even if the side mirrors look kind of oddly placed from the outside of the car, they work fine from within. 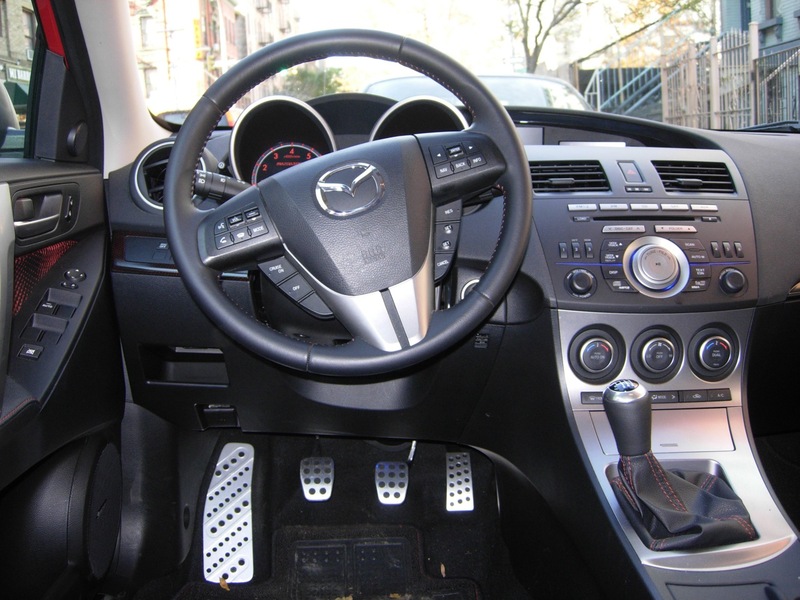 The inside of the car, while unlikely to be confused with an Audi anytime soon, is also well-designed, with smooth forms and clean lines dominating inside. 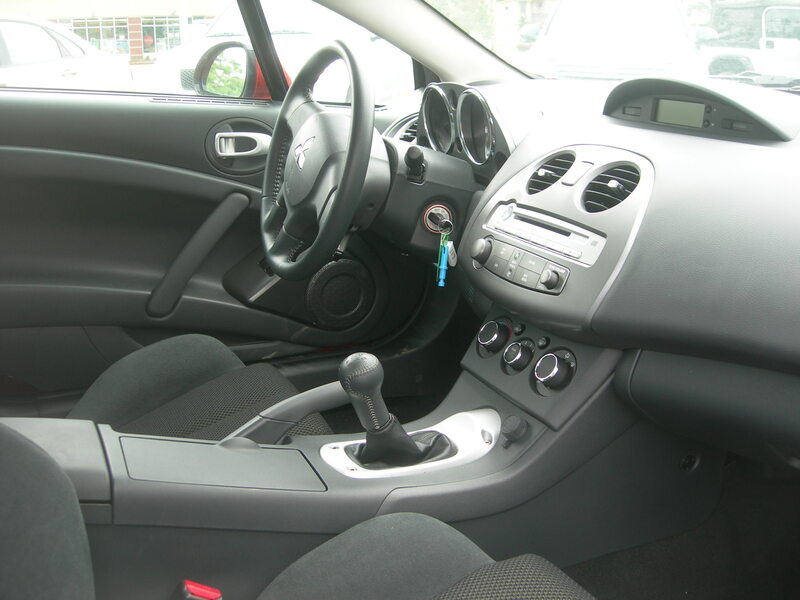 The front seats in my GS tester were very supportive and comfy; however, don’t even consider putting anyone legally taller than “midget” in those back seats, especially if the driver is close to six feet high. Those back seats are probably more useful for groceries and other loose cargo one doesn’t want rolling around the wide-but-shallow expanse beneath the glass hatch. Inside, controls fall conveniently to hand; in a world of ever-increasingly complex automotive audio systems, the Eclipse’s stereo is simple and easy – though I think if I was in charge of Mitsubishi, I’d mark up the price of the car $20 in order to buy a display that doesn’t look like the face of a Chinatown Casio. And if the screen itself weren’t distractingly crappy enough, the blemish it’s mounted into – which raises up on the dash like a shield volcano – certainly is. On the road, the 2.4 liter inline-four’s 162 horsepower motivates the car with gusto, if not heavy-duty excitement. If you’re looking to increase your stoplight-drag cred, the 263-horsepower V6 is probably for you; good luck matching the EPA’s 20 city/28 highway fuel mileage estimates for the four-cylinder, however. 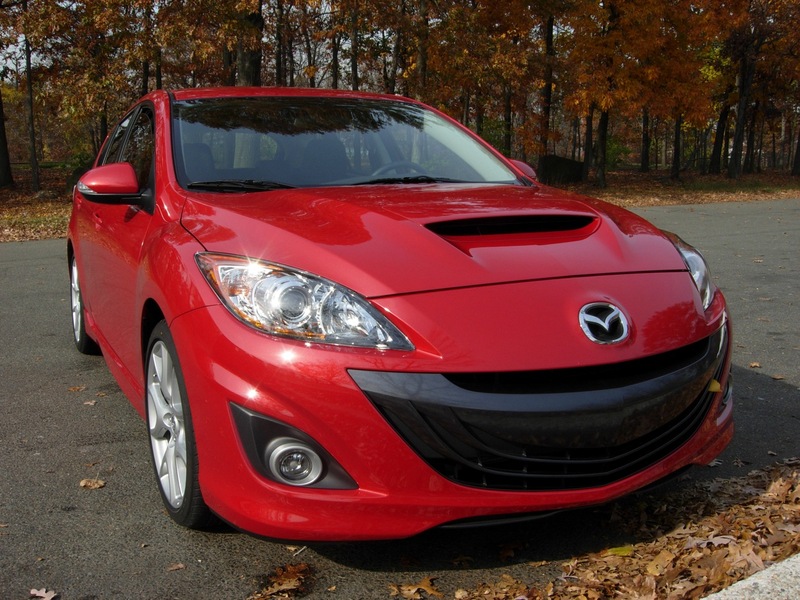 But for average buyers, the four-cylinder is probably all the engine needed. Despite being a little on the loud side, it never seemed thrashy or unsuited to its duty. Even pulling away from a stop, it seemed to have enough torque to keep you from having to row the gears too much to keep up with traffic. Handling, too, seemed perfectly adequate on the loops and curves I threw it over. 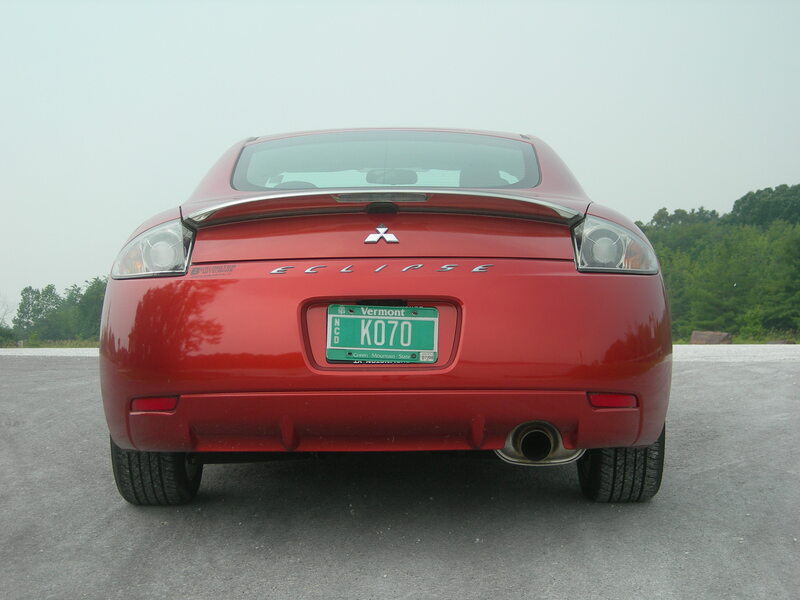 I’ve driven a BMW 335xi sedan on the same road, and while the Bimmer is obviously in a different class of vehicle than the four-cylinder Eclipse, the Mitsu didn’t really show any more body roll than the 3-series – an admirable trait. Finally, I shouldn’t leave without taking a moment to remark on the paint color of my tester. Mitsubishi calls it “sunset pearlescent,” because apparently they’re too cool to just call it “copper,” but whatever it’s called, it’s beautiful. My pictures, taken beneath overcast skies, can’t do it justice. 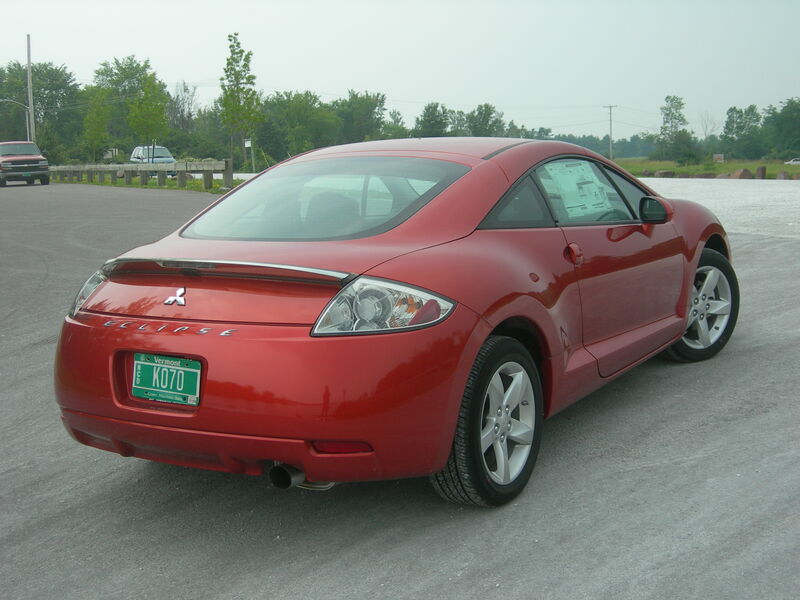 The Mitsubishi guys know it, too; they charge an extra $130 for it, but if I were buying an Eclipse, I’d find a way to spring for it. 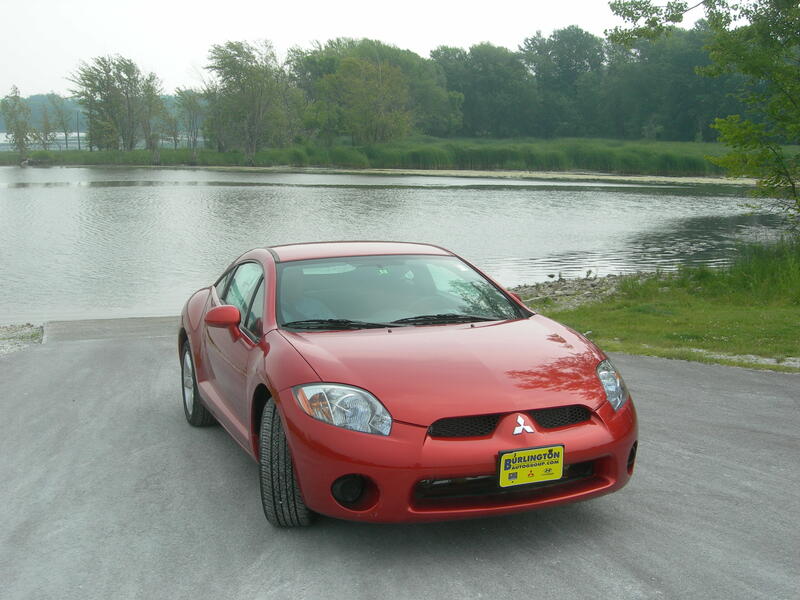 Other than the paint, my Eclipse GS was pretty much stock; equipped with a five-speed manual transmission and coming standard with 17″ wheels, keyless entry and cruise control, it retailed for $20, 129. 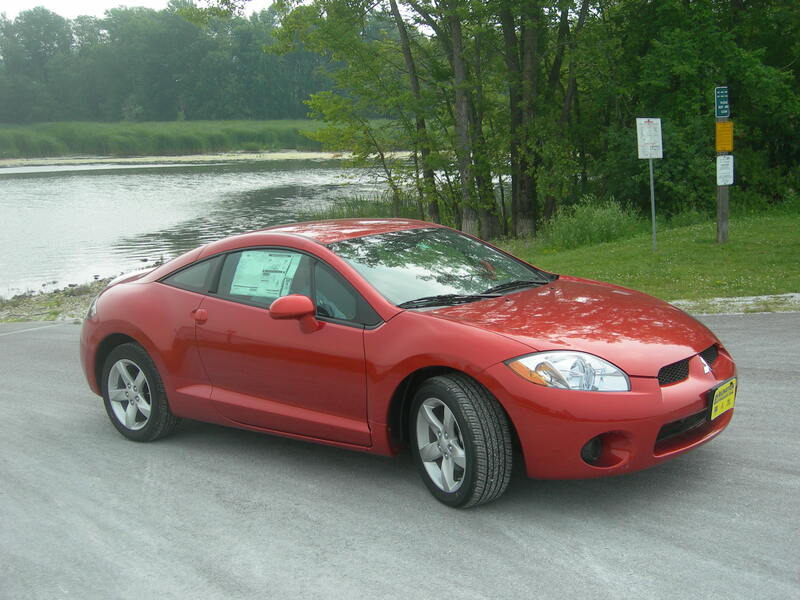 Skip the copper coat, and you can have a 2008 Eclipse rolling out the door for less than 20 grand (before they add on destination charges and taxes, but hey, you can tell your folks you bought a car for less than 20 grand without lying). Mitsubishi has bumped up the price $100 for the 2009 models, but in my opinion, they don’t look as nice – they’ve got a basking shark mouth-esque front that clearly is trying to ape the new styling of the Audi line. Too bad. Apart from that new maw, it’s a decent little car – with a very nice wrapper. Thanks to Joel Gelinas and Burlington Mitsubishi for their help with this report.